recording over 8 million concurrent player with a total of 650 million users. CROSSFIRE STARS (CFS) is being hosted every year with users from over the world. CROSSFIRE STARS (CFS) is the global top CROSSFIRE esports tournament where players from all around the world compete for the world championship title of all official CROSSFIRE titles. Regional champions will be selected through each CFS regional qualifiers. The regional champions will then gather up to compete against each other in the CFS tournament. Obtain the title of CROSSFIRE world champion and enjoy the honor and prizes that await you. 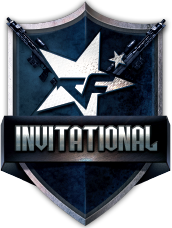 Invitational is a separate CF international e-Sports tournament executed together with publishers and organizers. Starting from 2015 in Brazil and Vietnam, the Invitational has been successfully hosted every year. PRO LEAGUE is a top-level regional e-Sports tournament currently composed of CFPL (CROSSFIRE PROL LEAGUE) in China, and CFEL (CROSSFIRE ELITE LEAGUE) in Brazil, Philippines, and Vietnam. Pro leagues are run two seasons annually with 6 to 10 pro teams participating in each season. After each season, the top teams from second division league go through a promotion event for a spot to compete in the PRO LEAGUE. Smilegate improves the playing conditions of professional CF players in the PRO LEAGUES through the Smilegate Support Program. This program also seeks to provide more opportunities for the prospective player generation while building a more stable eSports environment.